Waking up in the morning can be difficult – without bacon. At least, that’s the general consensus between Americans who consume an average of 18 pounds of the cured, smoked pork every year. So, why not use it to wake up? 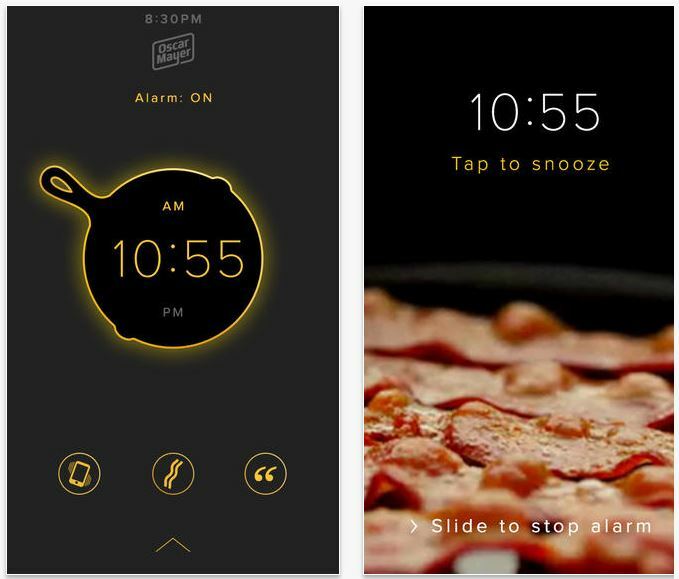 The alarm app and scent device is no doubt a marketing tool from Oscar Mayer, and a genius one at that. The small bacon alarm accessory plugs into your phone, which uses the Oscar Mayer bacon app to get you hungry and out of bed at even the most ungodly of hours. For now, users can download the free bacon alarm app for free, but you’ll have to enter the Oscar Mayer lottery to get the elusive bacon scent accessory.